Back in August 2015, Experience The Skies reported that Emirates would run all Airbus A380 service between London and Dubai starting on January 1, 2016 (News). The airline has new plans to expand the market with a new daily flight to be launched in early Spring. 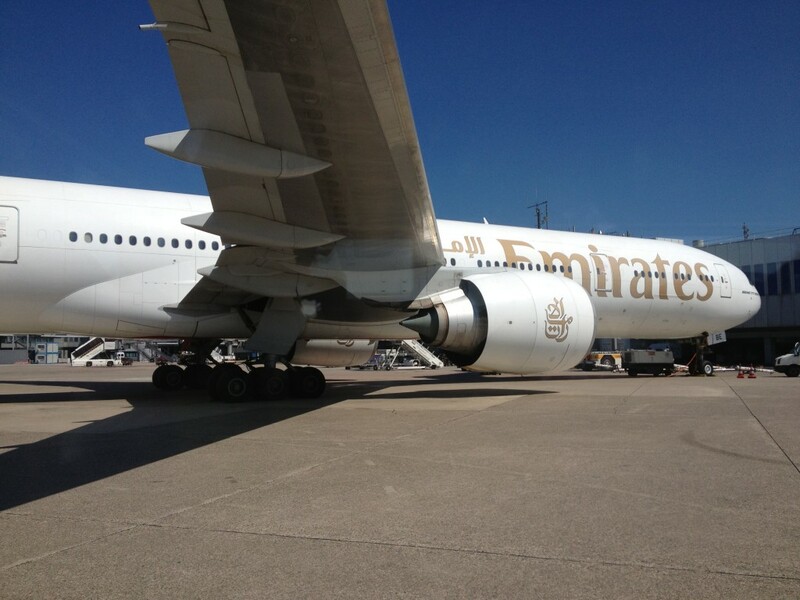 The Dubai based airline assigned EK31/32 as the flight numbers for this new operation. The tentative start date is March 27, 2016. The outbound flight catches connecting passengers from the Middle East / Asia and transports them to London with a late morning schedule. Arrival into London is ideal for getting into the city in time for dinner. The inbound flight is perfectly timed for travellers who work in the city or spend one more vacation day sightseeing. The arrival time at 0550 (550am) will provide connections to various Asian and Middle Eastern destinations. Initially, the flight will be operated by a Boeing 777-300ER that features First, Business and Economy cabins and a seat capacity of 354-360 seats. All classes of service will have access to audio video on demand inflight entertainment systems, AC power and USB ports. Connectivity is provided by WIFI on board that costs only US$1 for the first 500mb (News). On June 1, 2016, operations will switch over to an Airbus A380 that has a seat capacity of between 489 to 517. Besides the amenities noted above, First Class will feature the world’s first shower suites. 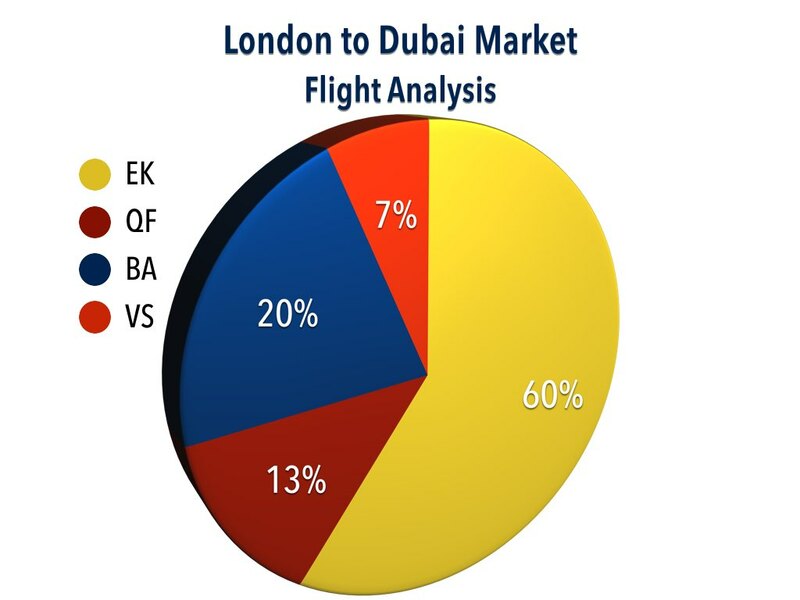 In our last post, we included Royal Brunei Airlines (BI) in the analysis. The airline has decided to end Boeing 787 service between the two cities starting on March 16, 2016. 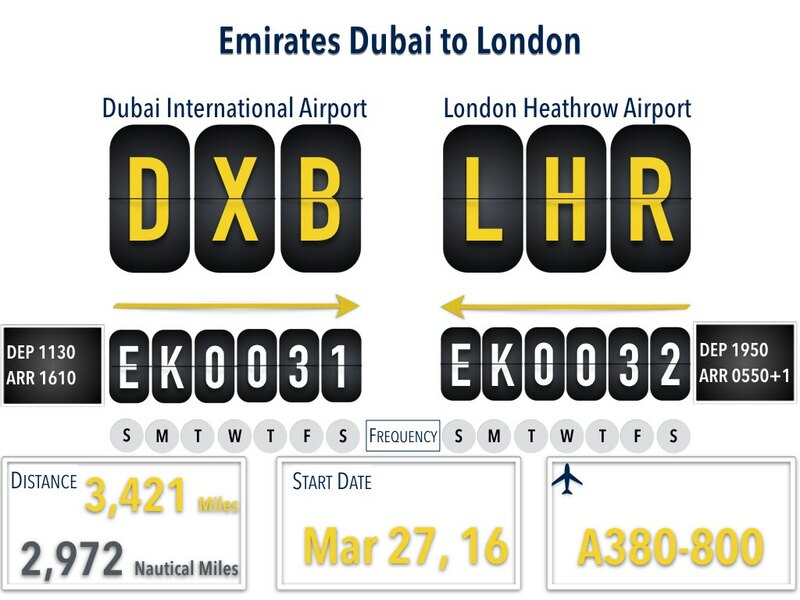 There will be 15 non-stop flights from both London area airports (Heathrow (LHR) and Gatwick (LGW)) to Dubai International Airport (DXB) after the March 27 introduction. 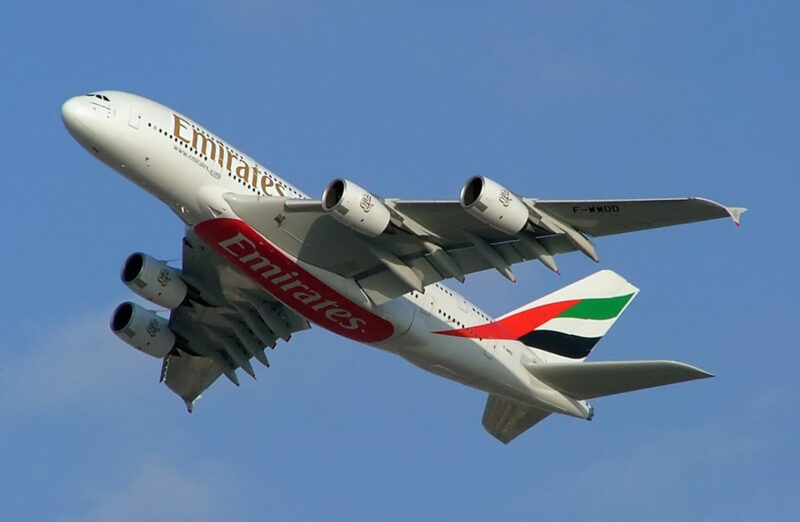 Emirates with its strategic partner Qantas Airways will own more than 70% of the market in the number of flights offered. Seat capacity market share goes up further as both use Airbus A380s on this route. Its main competitors British Airways (BA) and Virgin Atlantic (VS) are using a combination of Boeing 747/777 and Airbus A340 for this operation. British Airways is in the process of upgrading its older Boeing 747-400s with a refreshed interior and IFEs (news). This will allow the airline to compete better on this route. 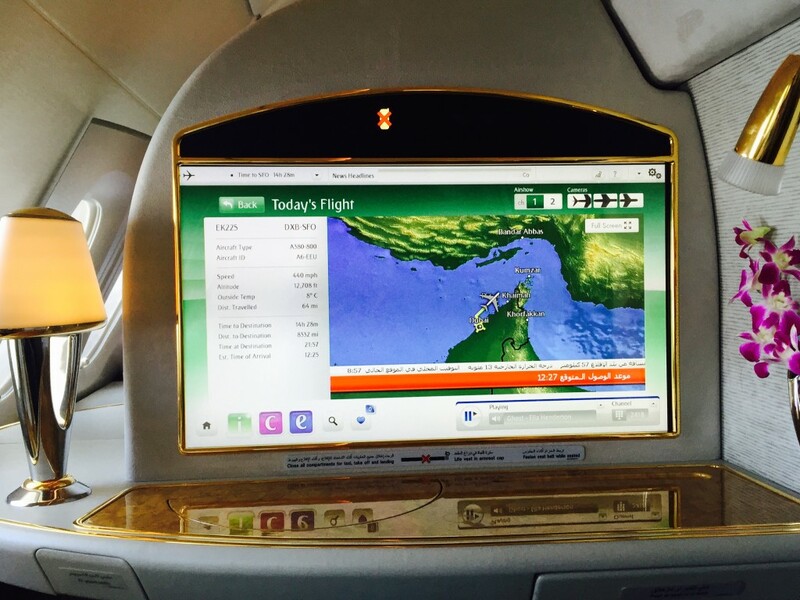 Emirates’ ninth daily flight has been loaded into their reservations system. Tickets are available for purchase through different outlets. Hi, is Royal Brunei flying to London direct from Brunei or not at all now? Royal Brunei is flying London to Dubai to Brunei with its fifth freedom rights. They will start the London to Dubai portion in March.